The main type of metal failure is corrosion. The special lamellar structure of grapheme is beneficial to improve the corrosion resistance of anti-corrosive coatings and decrease corrosion loss. This paper introduces the preparation principle, domestic and foreign research status and the main gap of graphene in the field of anti-corrosive coatings and prospects the future development trend of graphene anti-corrosive coatings. 何青, 马爱斌, 江静华, 等. 石墨烯的制备及其在金属防腐中的应用进展[J]. 功能材料, 2013(44): 176-180, 185. 陈建剑. 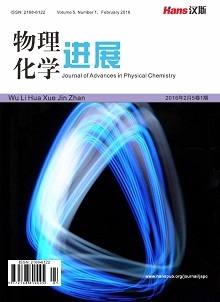 石墨烯改善环氧树脂基/碳纤维复合材料界面性能的研究[D]: [硕士学位论文]. 无锡: 江南大学, 2012. 卫保娟. 碳纳米管与石墨烯增强环氧树脂复合材料的制备及性能研究[D]: [硕士学位论文]. 汕头: 汕头大学, 2011. Bae, S., Kim, H., Lee, Y., Xu, X., Park, J.S., Zheng, Y., Balakrishnan, J., Lei, T., Kim, H.R., Song, Y.I. and Kim, Y.J. (2010) Roll-to-Roll Production of 30-Inch Graphene Films for Transparent Electrodes. Nature Nanotechnology, 5, 574-578. Brownson, D.A. and Banks, C.E. (2012) The Electrochemistry of CVD Graphene: Progress and Prospects. Physical Chemistry Chemical Physics, 14, 8264-8281. Lotya, M., King, P.J., Khan, U., De, S. and Coleman, J.N. 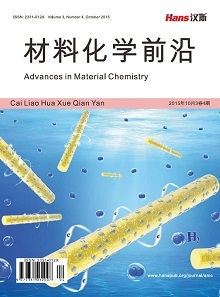 (2010) High-Concentration, Surfactant-Stabilized Graphene Dispersions. ACS Nano, 4, 3155-3162. Lotya, M., et al. (2009) Liquid Phase Production of Graphene by Exfoliation of Graphite in Surfactant/Water Solutions. Journal of the American Chemical Society, 131, 3611-3620. Vesco, S., Barletta, M., Puopolo, M., et al. (2015) High Performance Composite Coatings on Plastics: UV-Curable Cycloaliphatic Epoxy Resins Reinforced by Graphene or Graphene Derivatives. Surface and Coatings Technology, 272, 322-336. Mohammadi, S., Taromi, F.A., Shariatpanahi, H., et al. (2014) Electrochemical and Anticorrosion Behavior of Functionalized Graphite Nanoplatelets Epoxy Coating. Journal of Industrial and Engineering Chemistry, 20, 4124-4139. Krishnamoorthy, K., Veerapandian, M., Yun, K., et al. (2013) The Chemical and Structural Analysis of Graphene Oxide with Different Degrees of Oxidation. Carbon, 53, 38-49. Ramezanzadeh, B., Ghasemi, E., Mahdavian, M., et al. (2015) Covalent-ly-Grafted Graphene Oxide Nanosheets to Improve Barrier and Corrosion Protection Properties of Polyurethane Coatings. Carbon, 93, 555-573. 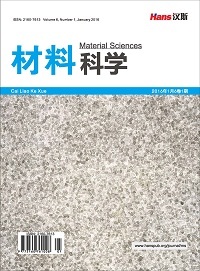 Li, J., Yang, Z., Qiu, H., et al. (2013) Microwave-Assisted Simultaneous Reduction and Titanate Treatment of Graphene Oxide. 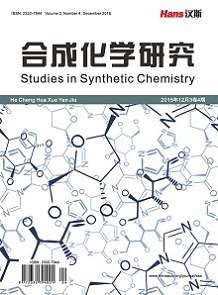 Journal of Materials Chemistry A, 1, 11451-11456. Chang, K.C., Lu, H.I., Lai, M.C., et al. (2014) Enhancement of Physical Properties of Electroactive Polyimide Nanocomposites by Addition of Graphene Nanosheets. Polymer International, 63, 1011-1017. Chang, K.C., Ji, W.F., Lai, M.C., et al. (2014) Synergistic Effects of Hydrophobicity and Gas Barrier Properties on the Anticorrosion Property of PMMA Nanocomposite Coatings Embedded with Graphene Nanosheets. Polymer Chemistry, 5, 1049-1056. Mohamadi, S. (2012) Preparation and Characterization of PVDF/PMMA/Graphene Polymer Blend Nanocomposites by Using ATR-FTIR Technique. In: Theophanides, T., Ed., Infrared Spectroscopy-Materials Science, Engineering and Technology, INTECH, London, 1. Pu, N.W., Shi, G.N., Liu, Y.M., et al. (2015) Graphene Grown on Stainless Steel as a High-Performance and Ecofriendly Anti-Corrosion Coating for Polymer Electrolyte Membrane Fuel Cell Bipolar Plates. Journal of Power Sources, 282, 248-256. Prasai, D., Tuberquia, J.C., Harl, R.R., Jennings, G.K. and Bolotin, K.I. (2012) Graphene Corrosion-Inhibiting Coating. ACS Nano, 6, 1102-1108. Okafor, P.A., Singh-Beemat, J. and Iroh, J.O. (2015) Thermomechanical and Corrosion Inhibition Properties of Graphene/Epoxy Es-ter-Siloxane-Urea Hybrid Polymer Nanocomposites. Progress in Organic Coatings, 88, 237-244. Miskovic-Stankovic, V., Jevremovic, I., Jung, I., et al. (2014) Electro-chemical Study of Corrosion Behavior of Grapheme Coatings on Copper and Aluminum in a Chloride Solution. Carbon, 75, 335-344. Mogera, U., Kurra, N., Radhakrishnan, D., et al. (2014) Low Cost, Rapid Synthesis of Graphene on Ni: An Efficient Barrier for Corrosion and Thermal Oxidation. Corrosion Science, 78, 384-391. Yu, Y.H., Lin, Y.Y., Lin, C.H., et al. (2014) High-Performance Polysty-rene/Graphene-Based Nanocomposites with Excellent Anti-Corrosion Properties. Polymer Chemistry, 5, 535-550. Sun, W., Wang, L., Wu, T., et al. (2014) Synthesis of Low-Electrical-Conductivity Graphene/Pernigraniline Composites and Their Application in Corrosion Protection. Carbon, 79, 605-614. 沈海斌, 刘琼馨, 瞿研. 石墨烯在涂料领域中的应用[J]. 涂料技术与文摘, 2014, 8: 20-22 + 32. 孟良, 孙明娟. 石墨烯产业发展现状与建议[J]. 新材料产业, 2014, 11: 11-14. 王耀文. 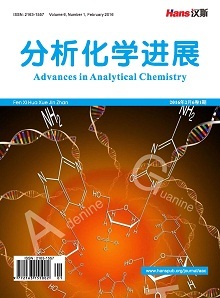 聚苯胺与石墨烯在防腐涂料中的应用[D]: [硕士学位论文]. 哈尔滨: 哈尔滨工程大学, 2012. 田振宇, 李志刚, 瞿研. 锌烯重防腐涂料的发展现状与应用前景[J]. 涂料技术与文摘, 2015, 9: 30-34. 蓝席建, 周福根, 冯伟东. 石墨烯导电海洋重防腐蚀涂料的研制[J]. 上海涂料, 2014, 52(12): 17.